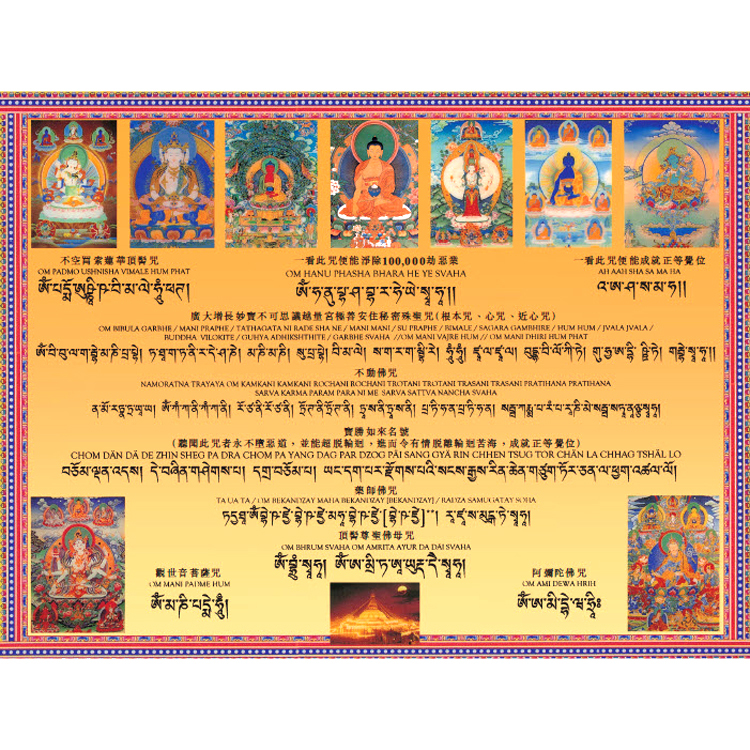 This beautiful color card includes images and mantras that merely by seeing help a dying person to purify negative karma and be led to enlightenment. 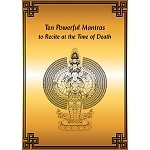 The front pictures 10 mantras and 10 images all especially chosen to benefit someone at the time of death. 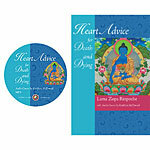 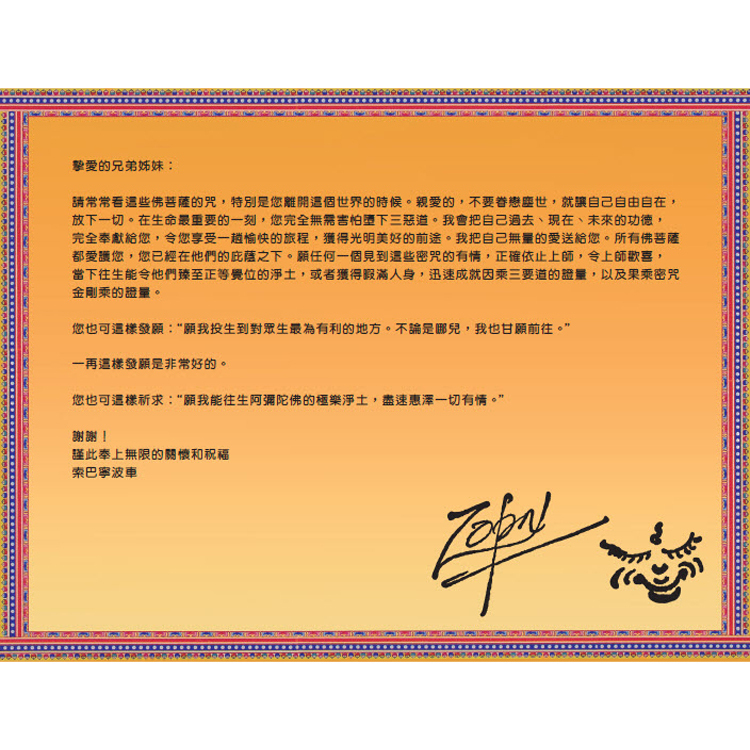 On the back of the card is a moving letter by Lama Zopa Rinpoche, in Chinese, to assist the dying person at this most critical time; the letter and mantra names on this card are in Chinese. 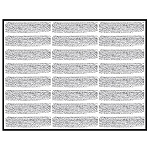 10.5 x 8 Inches (27 x 20 cm) approx.